cation practices to your industrial facility’s operations. 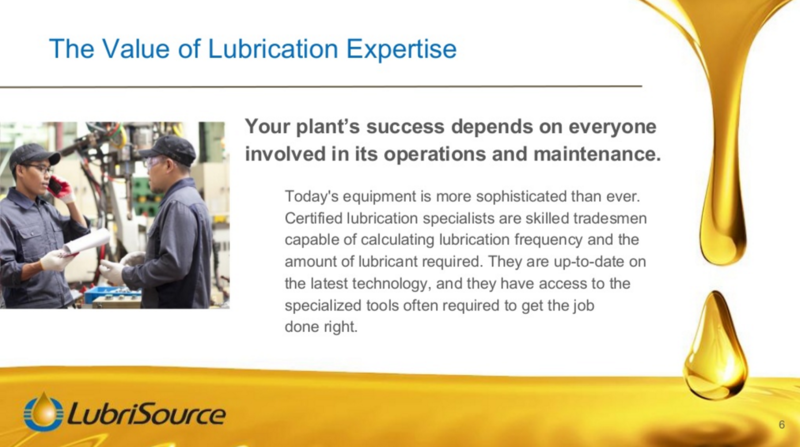 While discovering the many advantages of partnering with lubrication experts, you’ll also learn communication and planning strategies that help build successful, trusting partnerships. An optimal time to initially connect with lubrication professionals is during the planning phase of your next maintenance downturn. From there, our experts can help you create and maintain a proactive lubrication maintenance plan that increases your equipment reliability and plant productivity. Enjoy the presentation and contact us to see how a lasting partnership with lubrication experts ultimately saves your team time, effort and money.